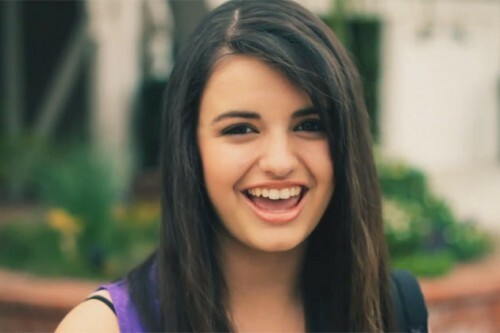 So, not sure if you’re keeping up with all the latest news on the Internet, but it seems YouTube darling and expert day-identifier Rebecca Black has come to the difficult decision to run for the Republican presidential nomination. NO! Where did that even come from? She’s actually leaving her Anaheim, CA, high school early, and will continue her studies at home under the careful tutelage of her mother. Guh, that joke’s practically older than ME at this point. Although, to be fair, so is 90% of the food in your refrigerator. Anyway, the Rebecca Black incident brings to mind all of the myriad other Internet and YouTube celebrities who have been bullied over the years. Like everyone’s favorite troubled online soul, the Star Wars Kid, or Britney Spears fanboy-turned-pornstar Chris Crocker. Or, for that matter, the mysterious and alluring Boxxy, who was essentially forced off the Internet after developing such an intense following on message boards like 4Chan. Don’t worry, we don’t really get it either. For most of these individuals, there was light at the end of the tunnel, and the bullying eventually gave way to a kind of grudging Internet respect. So take heart, Rebecca! Oh, and please stop recording horrible, horrible songs. That’s not bullying. Just honestly.